Thanks, I was not aware of them. 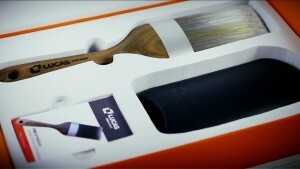 There is another British manufacturer of paint brushes that I do know called Phoenix brushes. They are similar in style and price to Bee Gee. Thanks for this info. Im just a DIY enthusiast myself and have always just throwed brushes away as they haven’t lasted me long and to be honest i find the cleaning tedious. 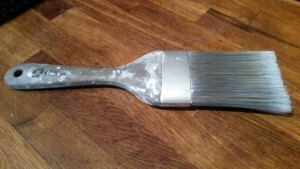 If this brush is going to last a long time and make cleaning easier i wont hesitate to buy one and to be fair, when you pay over £60 for 5 litres of paint that you are going to paint over in a few years time anyway, if you still have the brush to use then its not so much of an outset. i wonder how many brushes ive used and thrown away in my lifetime. I bet its 4 times more than that brush. Dave – Your best bet it is buy online. Lucas are actually an industrial paint finishing firm that have very recently branched out into products. The brush in their first. Bee Gee Brushes manufacture Sweeping Brushes mainly. But this is where we get ours made. Your website is about being made in Britain? Can I suggest something. There are no Paint Brushes that will ever have been truly British Made. The reason being Filament. There are no Filament production factories in the UK. Therefore The Lucas does not warrant being so. Tiger, it is all about perspective. Trading standards suggest made in Britain means ‘substantive change’ to the product within the UK. I understand that Lucas imports their filament but I would suggest that the resultant product has undergone more than the amount of change required to allow it to be called made in Britain. For instance, we don’t produce cotton – so, based on your reasoning, we could not have a made in Britain fashion industry at all. Wow, the Lucas Profinish box so beautiful, impressive at first time. Thanks for this Reviews.